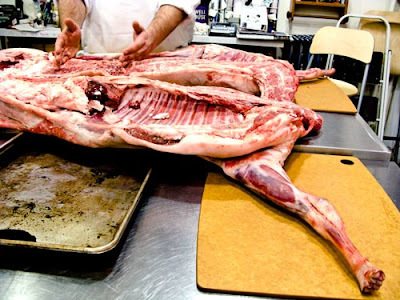 Elementary students in Kent, Great Britain have elected to send a lamb they reared as a school project off to be slaughtered and rendered into succulent ribs and chops. Marcus the six-month-old lamb has now been culled, the head teacher of the primary school in Kent confirmed on Monday, after the school's council -- a 14-member group of children aged 6 to 11 -- voted 13-1 to have him killed. The decision has provoked fury among animal-loving celebrities, animal and human rights campaigners and the parents of some of the children, and led to threats against Lydd primary school and its teachers, according to a member of staff. Around 250 children at the school take part in a program designed to teach them about rearing and breeding animals. The educational farm was started this year, with Marcus being hand-fed by the children. The children also look after ducks, chickens, rabbits and guinea pigs. The intention had been to buy pigs with the money raised from slaughtering Marcus, but those plans have been put on hold following the furor created by the lamb's culling. The school said the program may now have to be stopped. "It's all up in the air," said a member of staff. "There's been so much pressure on us as a result of all this." Despite that, the school said there had been overwhelming support among the children, the staff and most of the parents to have Marcus -- a castrated male who could not have been used for breeding -- sent to the slaughterhouse. But opponents branded it heartless and cruel, with animal rights campaigners asking why Marcus could not have been used to teach the children about wool, and human rights campaigners worried about the emotional impact of Marcus's death on the children. A popular talkshow host offered to buy the lamb and give it sanctuary and Facebook groups sprung up to rally support to keep Marcus alive. But the children had the final say. The school defended the children's decision, calling it educational. The kids are showing more wisdom and business sense than the adults here. Great Britain is becoming notoriously crazy about animal rights, often into the realm of the ridiculous. "They were slaughtering the spring lambs? And you ran away? Where were you going, Clarice? What became of your lamb, Clarice? You still wake up sometimes, don't you? You wake up in the dark and hear the screaming of the lambs. And you think if you save poor Catherine, you could make them stop, don't you? 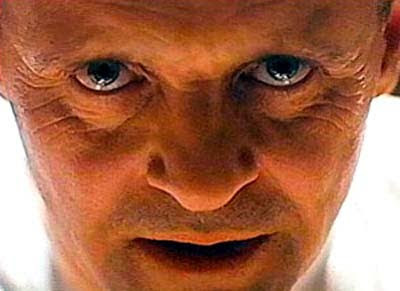 You think if Catherine lives, you won't wake up in the dark ever again to that awful screaming of the lambs." I love the use of the word "culled" in the article. How very British.